Thank you for your interest in speaking at Yes Group Belgium. If your application is successful the content provided will be used to create our campaign which we will use to market your event. Please ensure it is written from an audience perspective, i.e. focused on what they will gain from listening to your talk. It must be concise and compelling, whilst remaining fun and upbeat, with a focus on what our guests want to achieve from their evening. Yes Group Belgium is one of over 20 affiliated Yes Groups worldwide and the quality of your promotion here will determine the size of your audience, which in turn will help to “sell” you to the other groups in case you want other international speaking opportunities! As volunteers we ask for your cooperation to ensure that we can market you to the best of our ability. The more information that you can provide us with, the better chance that we have to promote you. We are only interested in opportunities that benefit both the speakers and the audience. 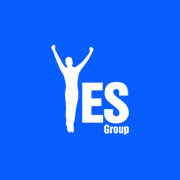 Once again thank you for your time and consideration to speak for us at Yes Group Belgium – Your Number 1 Personal Development Community. In which area of the Pyramid of Mastery does your talk fit?